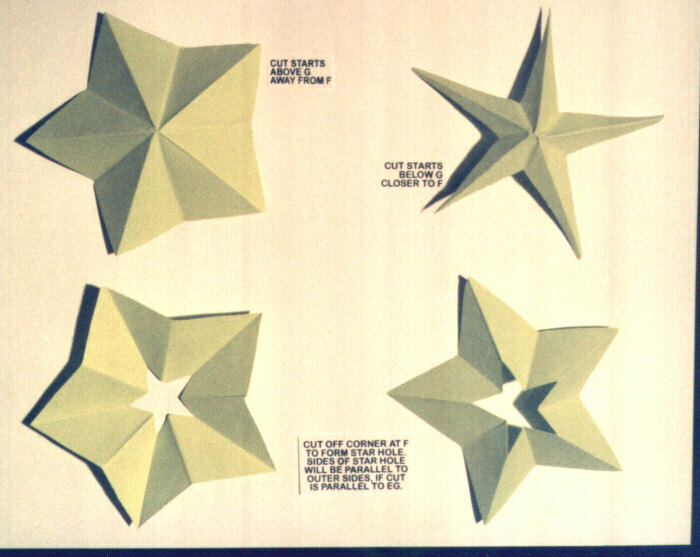 A video of these instructions is shown at the bottom of this page. 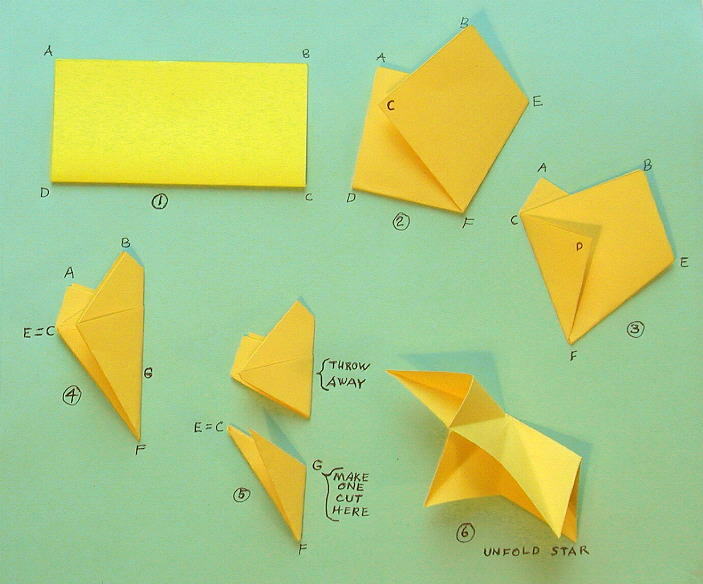 After opening the star, there will be 10 creases. 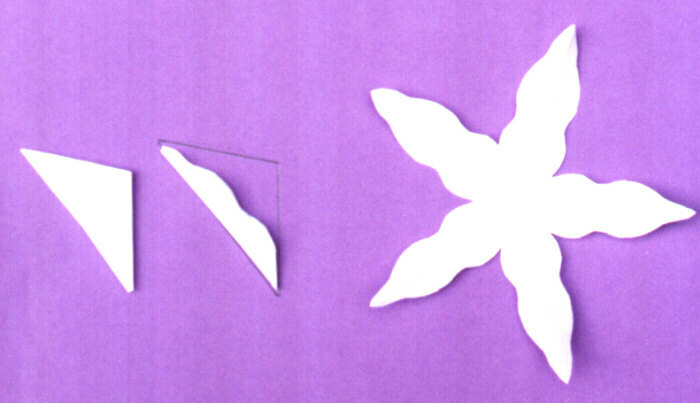 Press each of the 5 creases from the points to the center in the same direction and the other 5 creases the opposite. (The creases to the tips should all be in the same direction and the creases between the tips in the opposite direction. ) 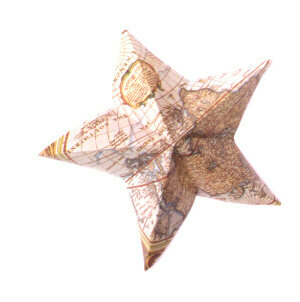 In other words, the direction of the creases should alternate going around the star. 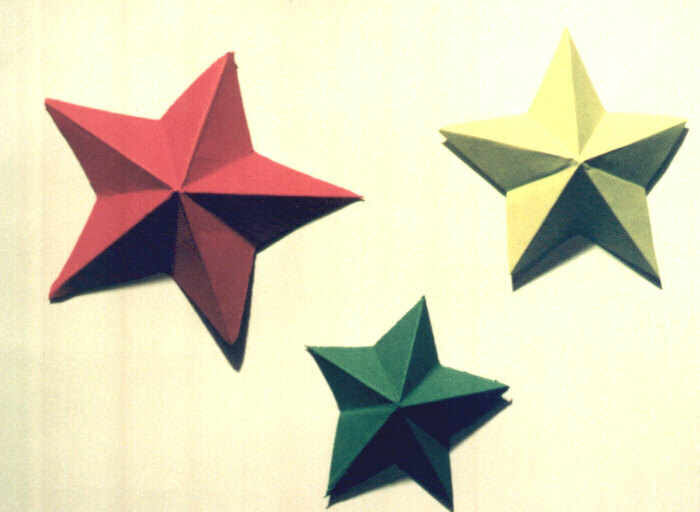 These stars can be displayed in relief or displayed flat. 120+ square paper sheets of a mixture of various brilliant and pastel colors. The sizes are perfectly square and 10 different colors. At least 40, 4" x 4", at least 40, 5" x 5", at least 40, 6" x 6". Only $6.10 postpaid. 150+ sheets of paper squares - at least 50 sheets each of 4x4 inches, 5x5 inches, and 6x6 inches. White. Only $5.90 postpaid. Click here for more information and pictures on this Safe-t Compass. Click here for this and other highhopes.com videos.